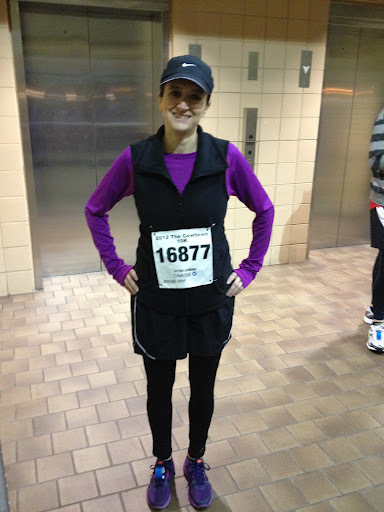 My first 10k race was the Cowtown in Ft. Worth, TX on February 25, 2012. I didn’t really have a set training plan, I just knew I needed to get my mileage up!I did that a little at a time, eventually getting to 7 miles before the race. The expo was great, lots of vendors and I picked up a few goodies. The parking was easy, not too crowded. Getting out of there was a little harder since the roads were still blocked. I finished in 53 minutes, 52 seconds. Much faster than I had trained at, I think the adrenaline got to me! 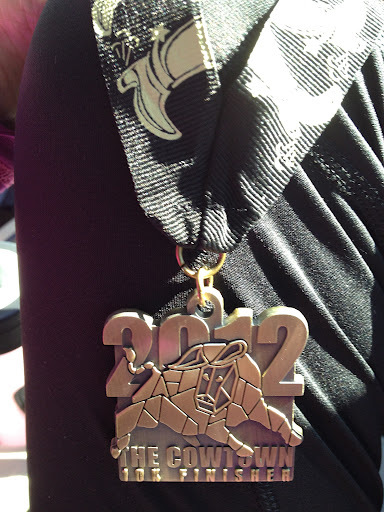 I am looking forward to running the Cowtown Half marathon in 2013! The Cowtown races benefit several charities, including the American Cancer Society and CALF (Children’s Activities for Life and Fitness). To register for any of the Cowtown races, visit their website.